#1 marketing add-on for Google Sheets. 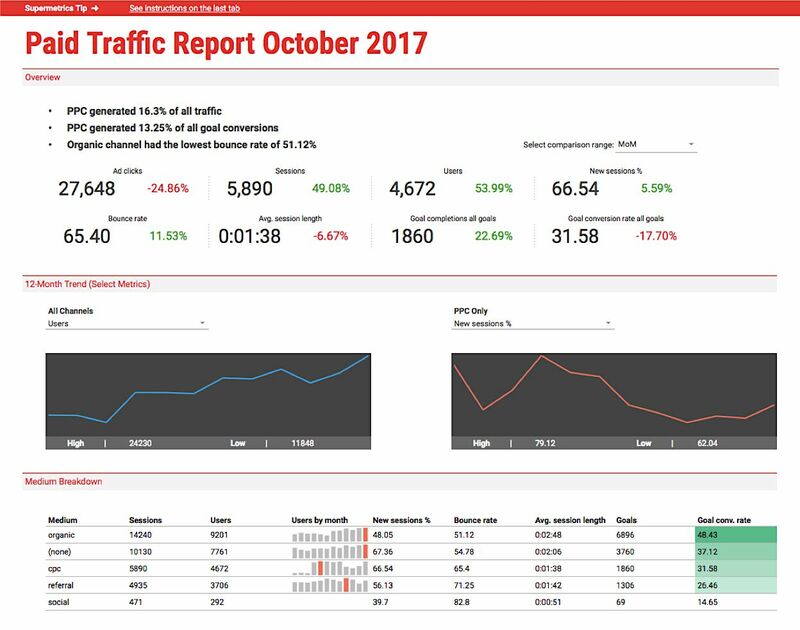 Effortlessly report, monitor and analyze your marketing campaigns in Sheets. Pull all your marketing metrics into one place. Best-in-class integrations with Google Analytics, Google Ads, Facebook, Bing, Twitter, Linkedin and other marketing platforms you use. Automate boring manual work and save time. No more manual copy/pasting or importing CSV files. Save 10 to 30 hours of time every month. Customize your reports any way you want. Get any metrics you need, combine them with any dimensions and visualize them in any form you want. Get awesome reports at a fraction of cost. Get best value for your money, with free Google Sheets. Why pay hundreds or thousands per month for other reporting tools? Starting at $69 per month. Pull all your data into Google Sheets. Connect to PPC, SEO, social, web analytics, email marketing and other marketing platforms. Schedule automatic refresh. Set up automatic emailing or take advantage of Google’s sharing options to give others access. Create your marketing reports in seconds with our pre-built templates, built by top marketers. Supermetrics has given a big deal to help us pull in all the relevant and required information into a single sheet, thereby saving us a lot of time and effort. We’ve found Supermetrics extremely useful as we manage Google Analytics for a number of profiles; being able to pull data into one spreadsheet is both time saving and invaluable for comparing data across our portfolio. Get started with Supermetrics for Google Sheets. 14-day trial with full features. No credit card required.